HOME / Just Pietranera conquers Indian market and its "Salon and Spa Journal". 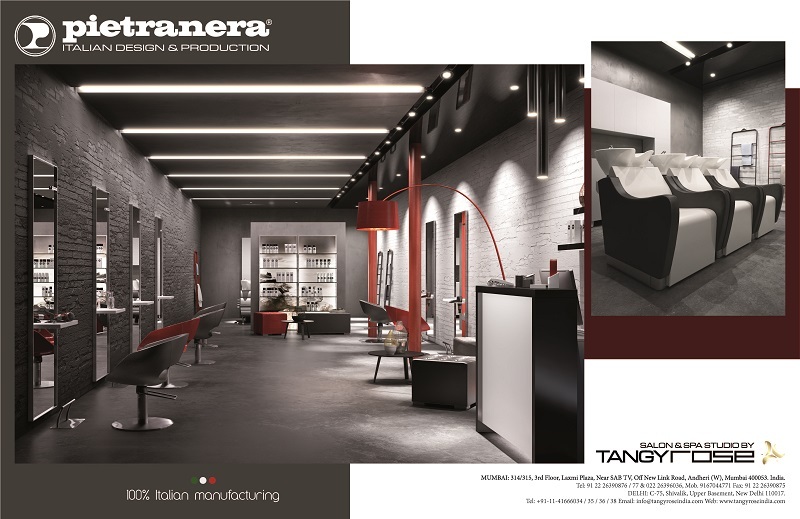 JUST PIETRANERA CONQUERS INDIAN MARKET AND ITS "SALON AND SPA JOURNAL". Just Pietranera suprises us once more: technical performance and design become a unique mix based on functionality and great look. Wen Pro backwash units, Doney salon chairs, Free Pral styling units, Move footrests and Party reception-desk characterized this ad. In the background the Expo Light display units : with the opportunity to apply a personalized printed fabric backlighted, it's possible to create a unique atmosphere inside the salon.